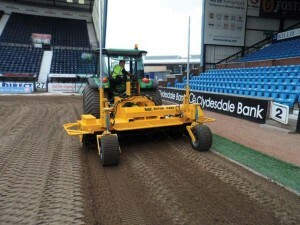 The job involved power-harrowing the pitch to incorporate 100 tonnes of fibresand into the pitch following drainage problems during the season. 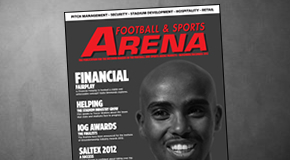 “We have a number of BLEC machines,” said Hugh, “and this job was ideal for the Rotor Rake. 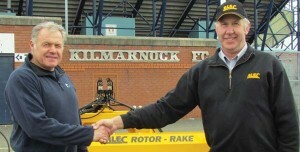 The three-metre Rotor Rake was delivered to Kilmarnock by Gary Mumby, Managing Director of BLEC Global. “We were delighted Hugh chose one of our machines again, and the results on the Kilmarnock pitch are remarkable,” he said. Other BLEC machines in the Greentech stable include a Laser Grader, a Grading Box Rake, a Sandbander and two Cultipack Seeders. 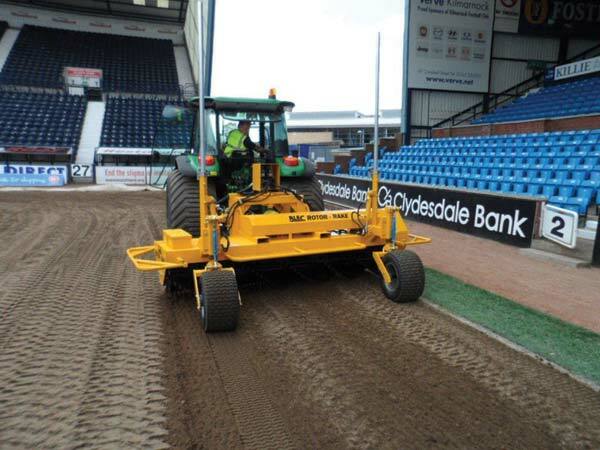 Greentech used one of their Cultipack Seeders for the final seeding of the Kilmarnock pitch. 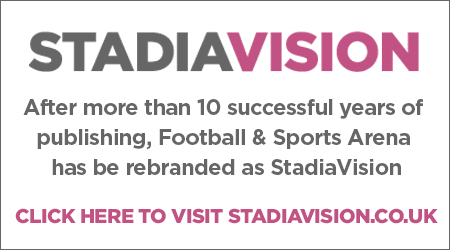 One of the features on the BLEC Rotor Rake is the built-in equipment to enable it to be laser-controlled for complete accuracy.